Retired USA 1SG, Active Firefighter, EMS. Small Unit Tactics. County POC. I am a first responder (EMS and Firefighter) in a Rural All volunteer Fire/rescue Squad. I would suggest Militia members look into their community First response system and Volunteer, (get involved) You will learn a lot about your local area and Work with the folks that are like minded as far as protecting your community. You will know all about assets available if a situation evolves into a "Call to Arms". Make contact with Local Law, county Sheriff and 911 director and offer your assistance with personnel or what ever you have to help in situations such as a Mass Casualty Incident, Flood, Prolonged Power outage or anything else. 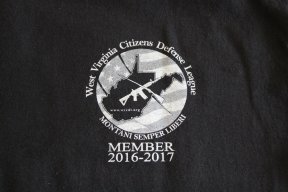 get your Group (local militia) listed as a county asset. RED 6, Pocahontas County POC check in. The flyer should be a great help in recruiting. I like that. Looks good, sounds good and gives better direction. Road Kill Cook Off in Marlinton WV this Weekend 9/24 WV Citizens Defense League will be recruiting there, Yall come. Ya never have too much prep.